Orangutan populations, just like humans and chimpanzees, are well-known for having unique forms of culture. Orangutans in different areas have traditions, specific "ways of doing things", for no reason other than that is what they learned from their parents and peers. Culture can be defined as the presence of geographically distinct behavioural variants that are maintained and transmitted through social learning, or more simply as socially transmitted behaviours that vary from region to region. Such behaviours, once thought unique to humans, were discovered among wild chimpanzees in the late 1990s and have since also been found among wild orangutan populations. In the 1960s it was widely believed that the difference between humans and the other great apes was that humans used tools. However, this was rebuked when Jane Goodall found the chimpanzees of Gombe making and using tools to fish for termites in Tanzania. It was then suggested that only humans possess “culture” defined as ways and means of doing things that follow a set pattern (or culture) for no reason other than that is how the behaviour was learned by offspring from their parents or peers. 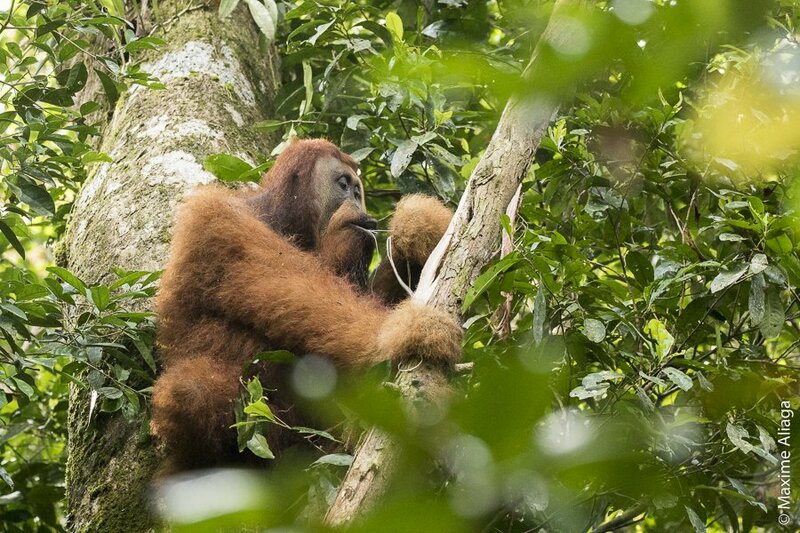 Now, as with the tool use, this argument has also been rebuffed, as first chimpanzees and now orangutans have also been shown to possess unique, complex and diversified cultures throughout their distribution ranges. Culture explains why different populations of a species, like humans, do things in different ways, even though the “ecological need” is the same. As an example, human populations build and use different designs, or ‘styles’, of boats and ships, not because the sea, lakes or rivers are so different from place to place, more simply as a result of the fact that that is how they learned to design and build boats from their parents and teachers. Likewise the styles used to make jungle machetes vary markedly between different human groups, not because trees and branches are different, but because of local tradition, or culture. Every evening an orangutan builds a new nest in the treetops to sleep in. Sumatran orangutans usually also build one around midday as well, for a kind of “orangutan siesta” but like slow loris eating this is not common in Borneo. Orangutan nests can be built in a number of different positions in a tree and using a variety of different constriction methods. Each individual specialises in one manner of building. If it looks like its going to rain that night most will also add a leafy roof to the nest to keep some of the rain out. In addition to different methods of nest building, orangutan populations differ in other ways too, according to their unique local cultures. 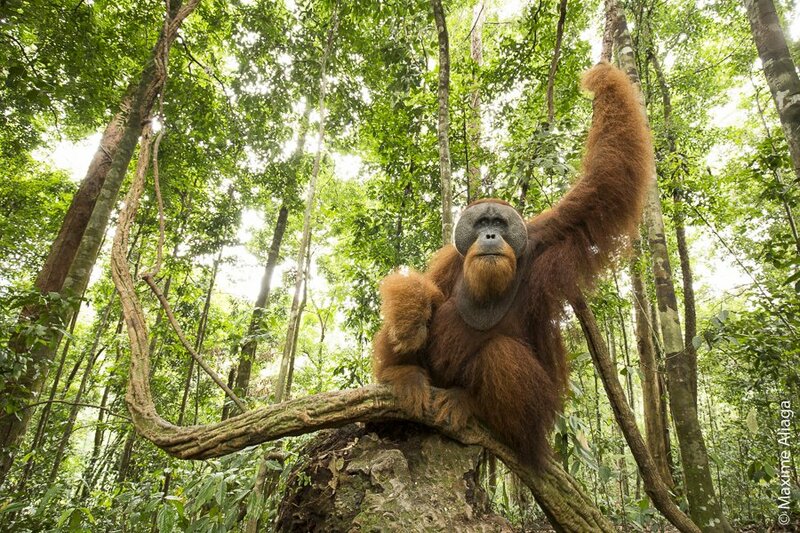 Like chimpanzees, orangutans are also very capable tool users. In some areas they have been seen using leaves as napkins to wipe their faces, as swatters to ward off bees and as gloves to reach fruits high in the branches of very thorny trees. In the swamp forests of Sumatra they regularly make tools out of twigs and use them to get honey from insect nests, or to extract seeds from some particularly difficult and problematic forest fruits. 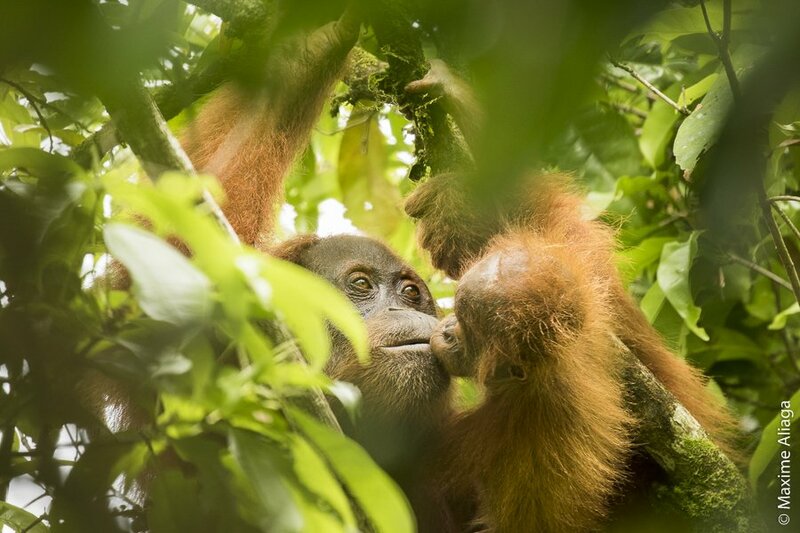 Such “patterns” of behaviour among orangutans are often specific to a particular region, in which they are transmitted from adults to the next generation by what is called ‘social learning’, i.e. the process by which infants learn new behaviours from the mothers or peers. This is how orangutan cultures come to vary between one forest region and another, and how they persist.